Good Days Start With Gratitude is a 52 week guide to cultivate an attitude of gratitude! 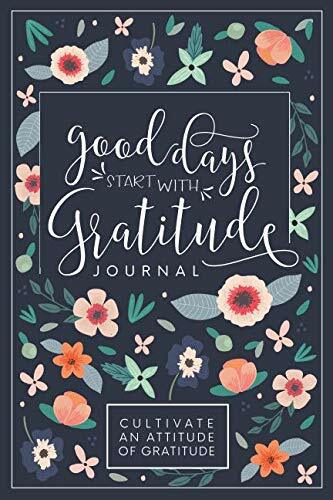 It is a self exploration journal designed to focus on being thankful for what we have, the big things in life, as well as the simple joys. Each well designed weekly spread contains an inspirational quote, space to write 3 things you are thankful for each day of the week, and a weekly checkpoint. If you start each day by writing down three things you are thankful for - a good cup of coffee, the smell of rain, starting a good book - you begin each day on the right note. Do it daily and make it a habit to focus on the blessings you have been given! Grab a copy for a friend and share the journey together!